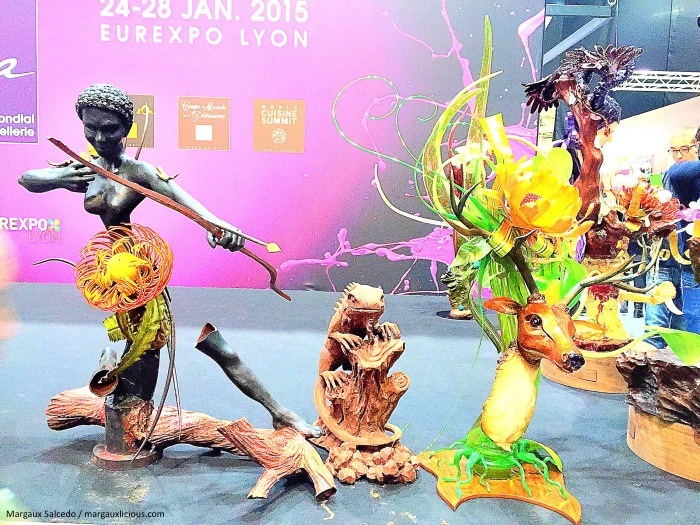 The Philippine Team won the award for Best Ice Sculpture at the Coupe du Monde de la Patisserie in Lyon on Monday January 26. Woohoo! 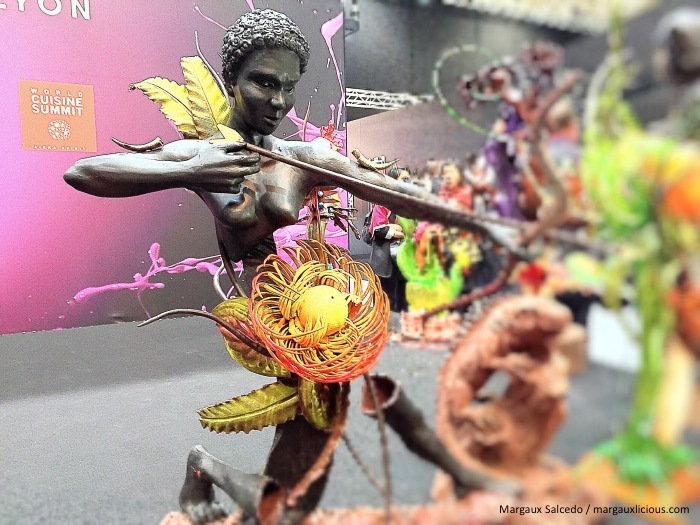 The piece was sculpted by Vicente Cahatol, one of the three chefs who represented the Philippines. 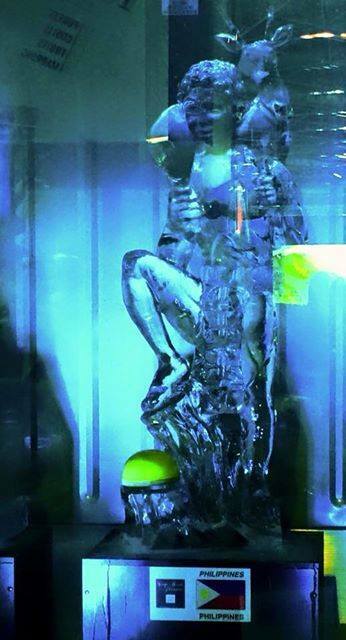 SIKLO Ice Sculpture by Vicente Cahatol. 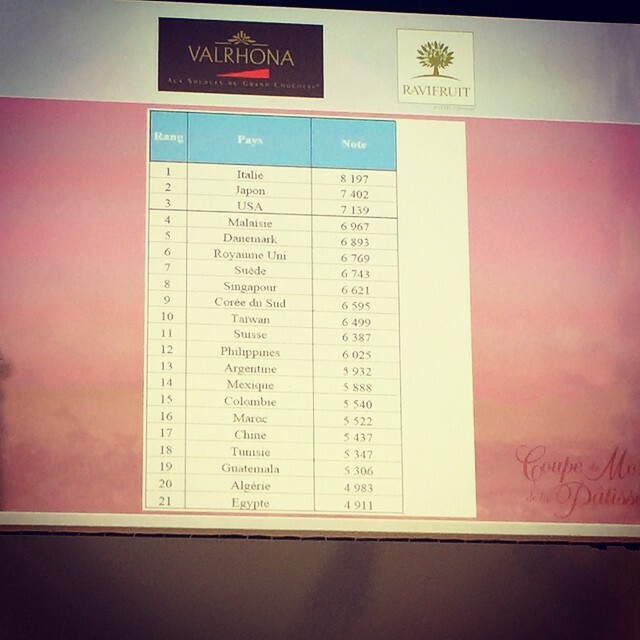 Entry of the Pastry Alliance of the Philippines for the Coupe du Monde de la Patisserie (World Pastry Cup) at the SIRHA 2015 in Lyon, France. 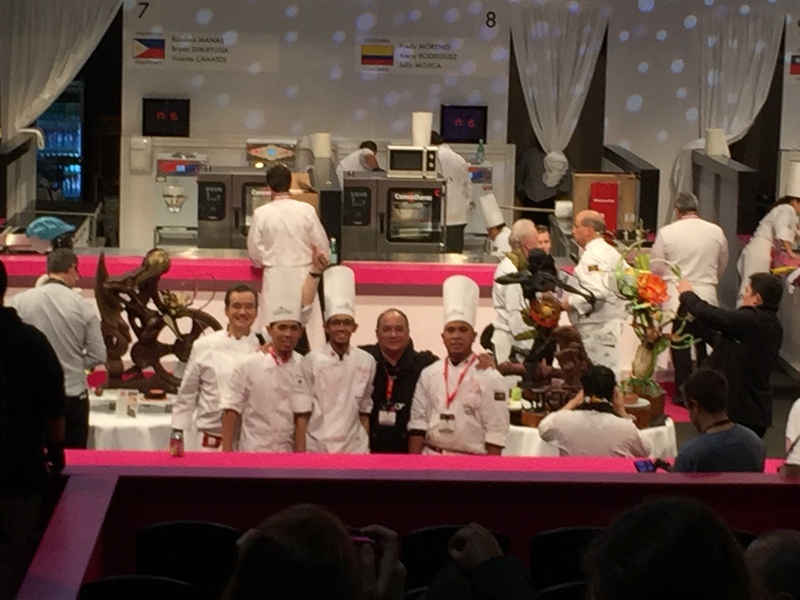 Competing for the Philippine Pastry Alliance were Rizalino Mañas, Vicente Cahatol and Bryan Dimayuga. Team President is Buddy Trinidad and Vice President is James Antolin. 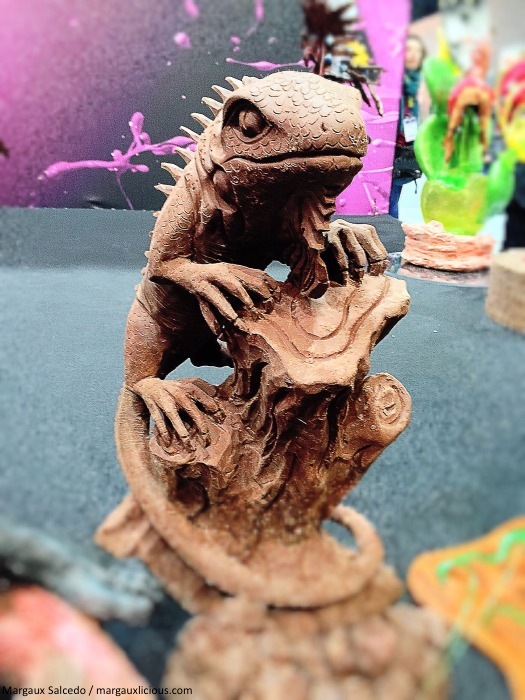 Cahatol also created the entry for the chocolate sculpture that was given special mention during the awarding by the representive of Valrhona chocolates, who provided the 10 kilo block of chocolate to carve. Cahatol created an image of the Philippine bayawak. 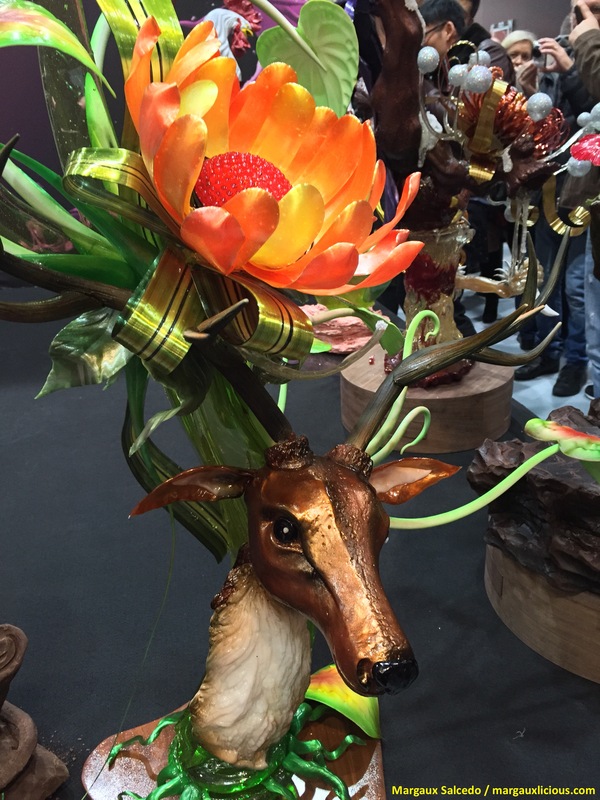 The theme of the competition was Life Cycle so the Philippine team, which also had Pastry Alliance Vice President James Antolin, Penk Ching, Jackie Ang Po, Peachy Juban, Dan Basilio and Miko Aspiras as coaches, conceptualized a unified theme that included a hunter and “the hunted”. This was truly a proud moment for the Philippines. 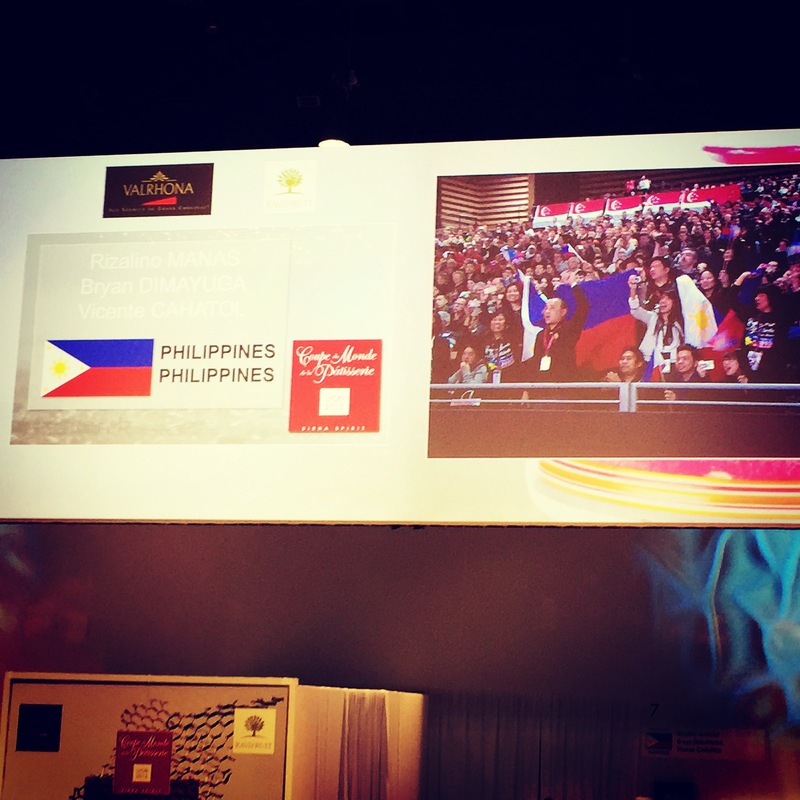 Congratulations to the Pastry Alliance of the Philippines and the Philippine team!! !